Doug Armstrong, Jim Bennett, Wally Hufford and Julie Stephens spent 11 days paddling down the Alatna River in Gates of the Arctic National Park in July, and they join KDLL Adventure Talks for an hour talk about planning and packing for the packraft trip. 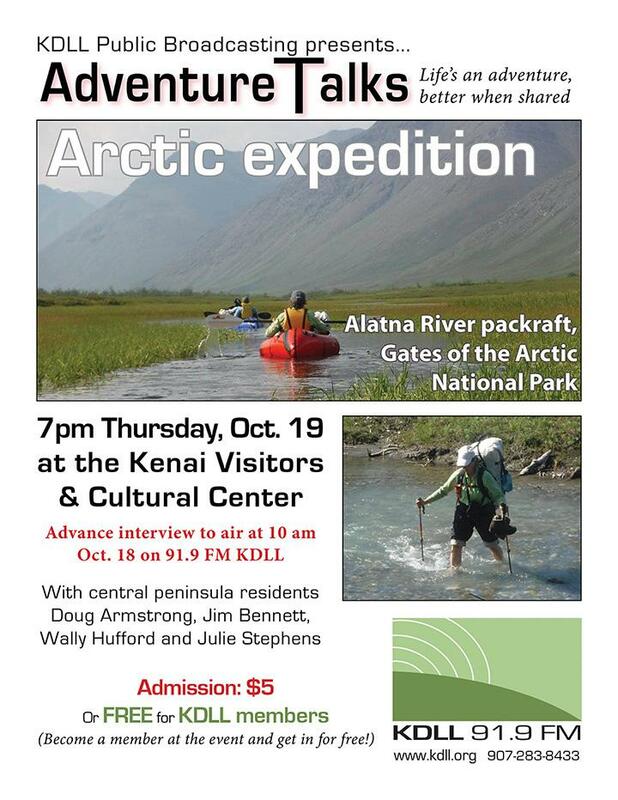 They'll share photos and stories from the trip during a live presentation at 7 p.m. Thursday, Oct. 19, at the Kenai Visitors and Cultural Center. Come ask questions, check out their gear and maybe get an idea for an adventure of your own.